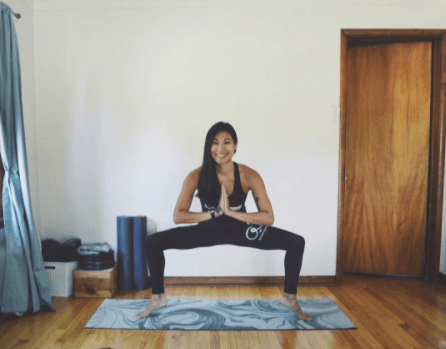 How yoga makes this strong woman even stronger. Meet Alice Rolfe-Chin. Take one look at this fit mama’s Instagram feed and we guarantee that you’re going to want whatever she’s having. 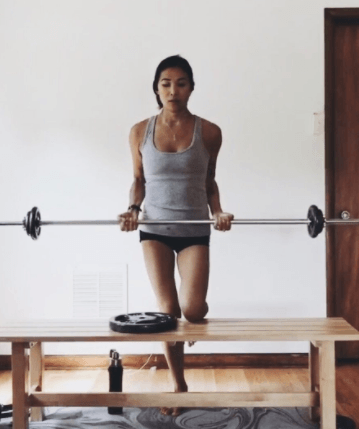 The personal trainer and yogi behind @fitbyal_, Alice serves up snapshots of her at-home workouts to her 21K+ followers — and the results speak for themselves. She’s looking good and feeling even better, and her honest thoughts on self love and staying fit after kids are about as empowering as it gets. 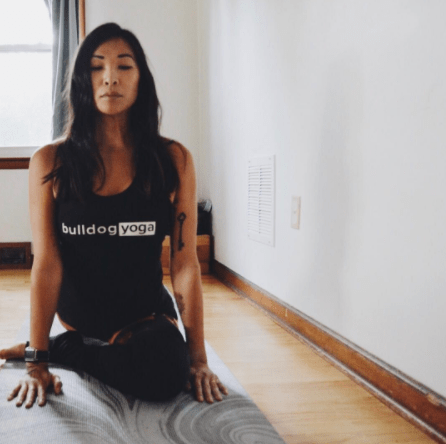 Alice recently joined our bulldog tribe by checking out our online classes, and she dished with us on her experiences with them and her other thoughts on wellness. Keep scrolling for the inside scoop. Q: Give us the basics of your personal fitness journey. How did you become an advocate for personal wellness? A: I began my fitness journey in February 2016. My youngest daughter was two years old and I was still suffering with postpartum depression, which is often overlooked that long after giving birth. As a stay-at-home-mom, I felt closed off and began internalizing my feelings. As someone who is normally very outgoing and active, this put me even further into my depression. One day, I just got sick of feeling sorry for myself! 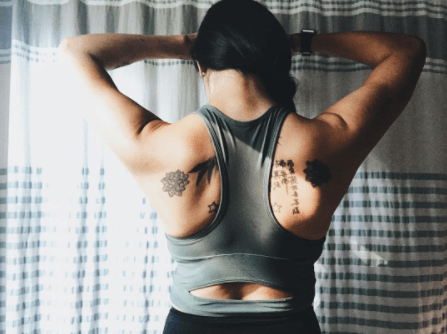 I made a conscious choice to start a workout regimen to feel more confident about my body, as well as for my mental health. I had no idea it was going to literally change my life. I had always been an avid runner, and I thought this was the ultimate way to lose weight. This time around, though, I began weight lifting, and I fell in love with the empowerment and challenge it offered. 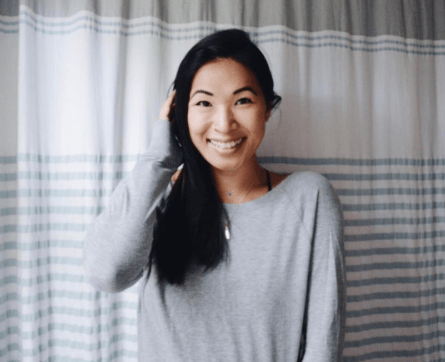 A few months later, I decided to pursue a personal training certification through NASM, and I’m now taking a yoga teacher certification locally. It is incredible what you can achieve when you stop holding yourself back. Q: What inspires you in your health and wellness efforts? A: I actually hated yoga for a long time. 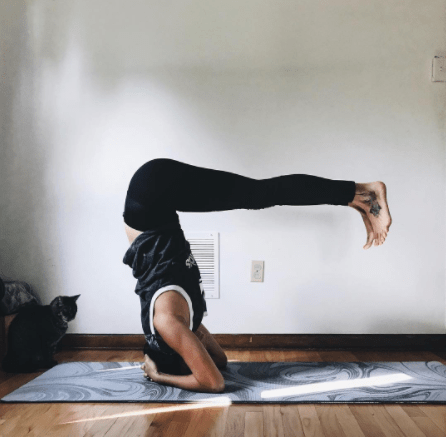 I took a Hatha yoga class in college and thought, “This is not for me.” I wasn’t into the slow, seemingly corny mantras (no disrespect to the culture — this was just what ran through my head at the time!). I have now grown a great appreciation for the spiritual side of yoga, but mostly I love the way it makes my body and mind feel. Before bulldog, I was practicing at home, mostly using apps. Q: What do you love about bulldog? How has it helped you keep working toward your fitness goals? A: I fell in love with bulldog yoga the first time I took an online class. It’s fun! The music combined with the different options of cardio or strength training allow me to work on different things depending on how I feel. I look forward to the online classes because I know they’re going to give me energy and challenge me. It’s like taking your favorite class in the privacy of your own home, and on your own time. Anyone who has worked out has had off days, and knows that it can be hard to drag yourself to do something when you’re not excited about it. bulldog has given me more motivation and encouragement to get it done. A: Oh, man. This used to be me! Try every kind of yoga before you throw in the towel. It is such a necessary part of my everyday now, and I couldn’t live without it. bulldog has given me such a different perspective on yoga. It gives me the energy and inspiration I need. A: Killing a sweat session. Every time I finish an intense workout or yoga session, I feel empowered, like I can physically or mentally take on anything. A: Don’t stop — even when it seems like nothing is happening! Change what you’re doing, and find something that speaks to your soul and do it with intention. Nothing in life that is worth a damn thing is easy or happens overnight. Create a healthy lifestyle so it becomes a part of you, not just another chore you have on a list of to-dos. Make a conscious effort to enjoy it, and above all, be willing and open to the mental shift that is necessary to find self love and acceptance. Without that mental change, you can look like your definition of fit or beautiful, and still be unhappy. Make sure your transformation is complete and balanced. What inspires you to stay fit and strong? Tell us on Facebook + Twitter!